Nowadays, microwaves can be found in nearly every household. These kitchen appliances provide homeowners with a great deal of convenience by cooking and heating meals within minutes. If your microwave oven starts acting up, you should contact our microwave repair Clifton team.We have been helping residents of Clifton, New Jersey with their appliance related needs for many years. No matter what is wrong with your microwave, we will troubleshoot and fix it in no time. Your microwave is a complex appliance and should be repaired by professional technicians only. It requires special skills and knowledge to diagnose and fix the unit right. 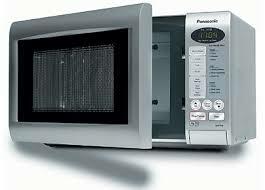 Our microwave service technicians can work on all makes and models of microwaves available out there. No matter how old or new your appliance is, we know the right methods to put it back in working order. We understand that when any home appliance is out of order, you need it fixed as soon as possible. Our team provides same day microwave repairs throughout the Clifton region. 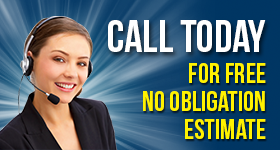 With our proven expertise and proper diagnostic tools on hand, we will get your unit back on track in a single visit. Aside from repair, Appliance Repair Clifton specializes in installation and maintenance services. Whether it is a standalone or built-in unit, we can install it for you in a timely fashion.No matter what type of microwave needs our attention, we are familiar with them all. Not only will we ensure it runs properly but also advise on how to make it serve longer. Contact us today if you want to learn more about regular maintenance and other services we offer. When it comes to microwave repair in Clifton, our team is the right choice. We are dedicated to delivering effective solutions at reasonable prices. We are here to give you a deserved peace of mind knowing your appliance works as it should!